Pans & Bakeware | Naegele Inc.
Over 100 years ago, the activities of today’s Kaak Group started with the production of sheet metal bakeware. The Kaak Group expanded its activities throughout the years, and so did Kaak Bakeware. Today we offer our clients a full service concept, which involves the fully automated production of a wide range of product carriers, tailor-made solutions, and cleaning and (re)coating. Our service enables you to do what you do best: baking top quality products. A bread pan or baking tray may seem simple and straightforward, but when it’s not tailored to your baking line and product requirements, you will not achieve the optimal result. That’s why Kaak Bakeware custom designs and manufactures all its bakeware to meet your specific needs. 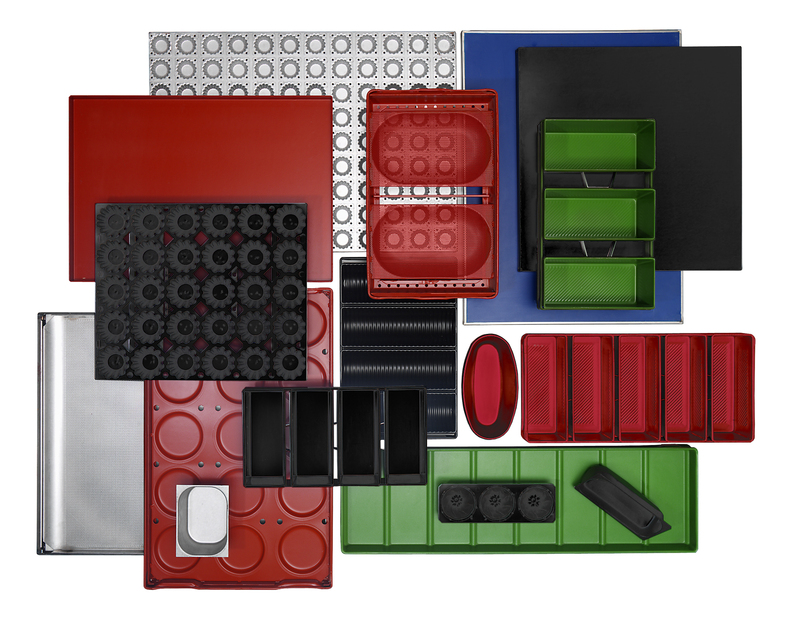 Our robot-assisted production lines make straps, pans, and baking trays for every product your customers demand.